Welcome To 76 Virginia Blvd. This Beautiful 3 Bedroom, 1- 4 Pc Bath, Home, Has A Large Eat-In Kitchen, And Dining Room, With A Cozy Family Room With A Wood Fireplace, As Well As A Living Room With A Gas Fireplace To Entertain Your Friends And Family. 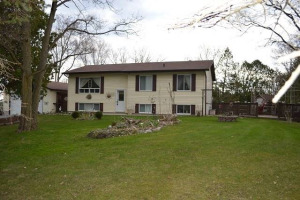 The Large Lot Has A Fenced Backyard Backing Onto Unused Fields And Trees That Make Bbqing That Much Better.